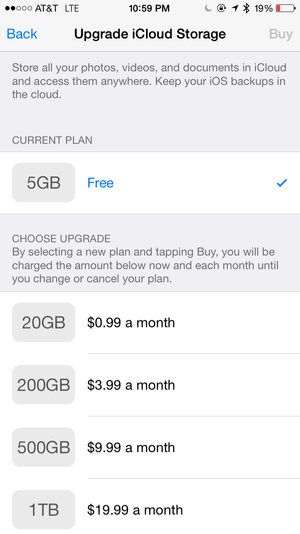 iCloud storage is certainly convenient since it’s built so deeply into iOS and OS X. But it’s not the cheapest. While Apple substantially lowered iCloud storage fees last September, those fees remain high compared to Apple’s competitors. The question is whether the utility associated with iCloud Photo Library is worth the extra dollars compared to the ecosystems of other companies. Dropbox. The free tier is 2GB, with the ability to earn up to a total of 16GB through referrals and other programs. 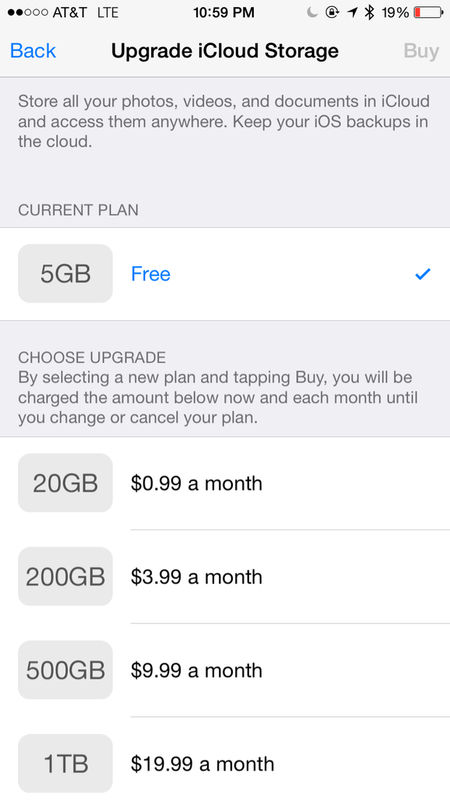 Its single paid tier is 1TB for $10 per month or $99 per year—40 percent of Apple’s cost. Microsoft OneDrive. Microsoft offers 15GB free (and up to 35GB with bonuses), then has three tiers: 100GB for $2 per month, 200GB for $4, and 1TB for a mere $7 per month—a third of Apple’s price—including a subscription to Office 365. Apple’s ecosystem is obviously designed to work seamlessly and in the background across all its devices and operating systems. 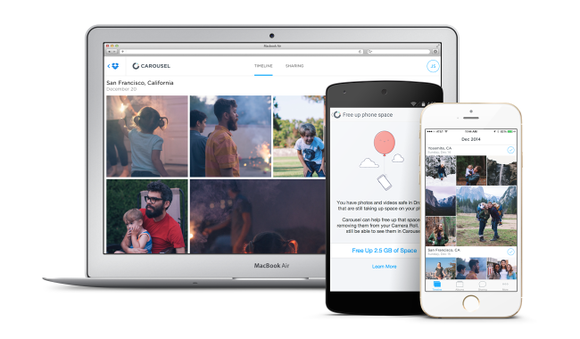 With iCloud Photo Storage enabled on iOS devices and Macs, photos and videos are synced to every location—either at full resolution or in downsampled preview versions—as well as backed up in Apple’s cloud, and accessible via your iCloud account. Flip switches on your devices and in your hardware, and you simply don’t think about sync. Or that’s the general intent. Let’s look at the others, assuming that a common disadvantage is that you won’t be able access the images in the Photos app on all your devices without additional steps. And let’s also assume that if you’re looking for an alternative, you don’t frequently edit your photos: You mostly want to view them yourself, share them in person via a device, and share them via album links and social networks. You can use Automator actions to import images from cloud storage into Photos. Dropbox’s desktop utility can automatically import media from devices when they’re attached, such as an iPhone. Its smartphone apps can be set to upload photos and videos when the app is opened, as well as through background uploading. If you store your photos in Dropbox, you aren’t stuck looking at tiny thumbnails or a list of filenames. Just get Carousel, an iOS/Android app that acts as a gallery for viewing and sharing your photos and videos. While you can look at photos and videos in Dropbox’s mobile apps, the company introduced a separate media app and site last year called Carousel, which is optimized for visual media playback and scanning. If you take most of your photos with your iPhone (or iPad), the Amazon Photos app can automatically upload them to Amazon’s cloud—which has the best prices. Google Drive and Microsoft OneDrive. Desktop software lets you sync the contents of a folder as you would with Dropbox, and mobile software can upload photos and videos, including automatically with OneDrive. However, neither service is targeted for any particular advantage except central storage. They lack the point of Amazon’s “display everywhere” direction, Dropbox’s sync and photo view apps, and Apple’s sync everywhere. Dropbox seems the clear winner if you don’t routinely edit photos in Photos on different platforms, and Amazon if your intent is a central storehouse with access everywhere and at the lowest cost.